Dallas Cowboys first-round pick Taco Charlton has signed an endorsement deal with the restaurant Taco Bueno. 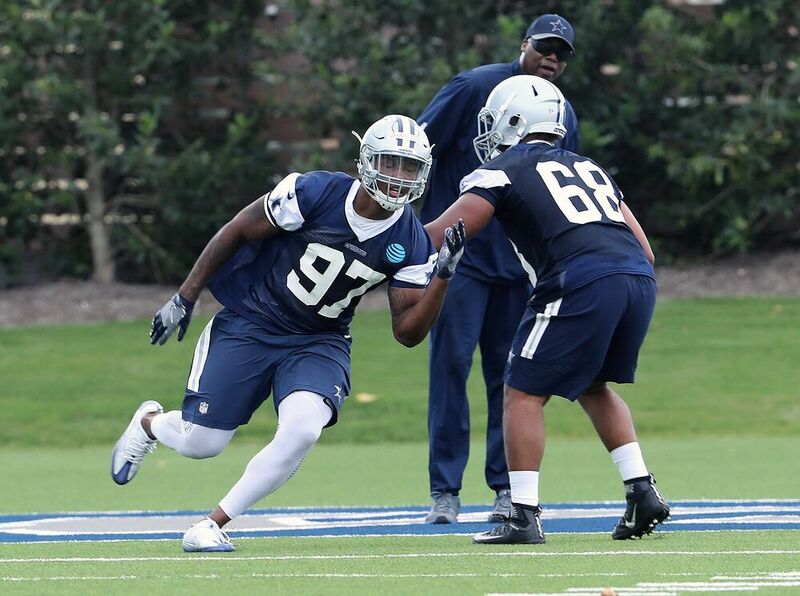 The Dallas Cowboys desperately needed to find a pass rusher but I’m not sure even they knew Taco Charlton would instantly become marketable. With a name like Taco, I guess it’s only right for him to be the spokesperson of some Taco chain restaurant. “We had meetings with a bunch of restaurants that sell tacos and we were looking for a long-term relationship,” said Joel Segal, Charlton’s agent and president of Lagardere team sports. With a market like Dallas, Charlton could become a household name if he performs up to expectations. Charlton, the No. 28 overall pick in the 2017 NFL Draft, will fill a huge pass rushing void for the Cowboys this season. At 6-foot-6, 275 pounds, and incredible 34-inch arms; Charlton has the length and skill to become a dominant edge rusher. Look for Taco to wreak havoc at defensive end in Rod Marinelli’s defense this fall. Taco’s real name is actually Vidauntae, but is known just by his childhood nickname instead. It’s safe to assume he also has an affinity for tacos given his Twitter handle of @TheSupremeTaco. CEO Mike Roper said that Charlton was just the right guy to represent his brand. Rovell also adds in his ESPN story that Taco Bueno has more than 180 locations across seven states. This will be Charlton’s second endorsement deal after inking a contract with Big Red Soda Monday.